Human-machine interface extends far beyond the flight deck. As well as pilots in cockpits there are controllers separating and guiding aircraft. The recognition and development of HMI in this area parallels the evolution of the aircraft HMI. In each case the evolution is from analogue to digital systems, with the trend being to more information and more integration of information. Where Aeradio network operators, established in Australia by AWA for the Department of Civil Aviation in the 1930s, predecessors of today’s air traffic controllers, had to carry a picture of the (admittedly sparse) air traffic in their heads, the modern air traffic controller sees it displayed on a screen, sometimes with potential conflicts highlighted. Another discernable trend is towards design for ease of use. In the era when aircraft flight decks consisted of a few brass-ringed instruments mounted on a wooden panel, Aeradio stations consisted of powerful but primitive valve transmitters, Morse keys and direction finding equipment, often arranged ad hoc on an everyday table or desk. Limitations of technology meant humans were the ones that adapted. The Morse code key was an example of this. Communication could only be carried out between people who had learned the sequence of dots and dashes. The Aeradio operator of the 1930s had six sources of information: Morse transmissions from aircraft and other stations, air-to-ground voice radio at shorter ranges, the telephone, the local meteorology officer—who was often located in the room next door, and, finally, his ears. It was relatively common, in overcast conditions, for the radio operator to step outside and listen for the sound of aircraft engines. The operator would then radio the aircraft to say it had passed over the aerodrome, or could be heard in a particular direction. 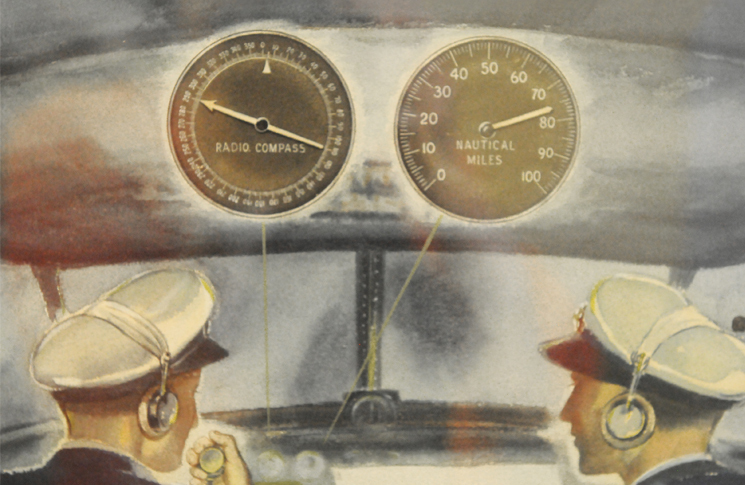 As instrument flight became routine, then mandated, in post-war aviation, the controller’s station evolved in parallel. The flight strip system was developed, reportedly, from a system used in the US for managing railway wagons in marshalling yards. Details of each flight in a sector were written on a paper strip that was moved up and down a column of strips depending on when the next action was due, and deleted when it had cleared the operator’s sector. The strip system established a foundation of safety: orderly, procedural workflow. Dedicated consoles appeared in the early 1960s and incorporated expandable modular design, battery back-up, duplicate audio systems and ergonomic design, in the form of curved map displays, and lighting. On some ATC consoles flight strips could be put into slots which had interlocks to indicate assigned altitude on other consoles by means of coloured lights. This guarded against multiple aircraft being assigned the same altitude. Over the history of ATC the mental airspace picture in the operator’s head has become visible, through technologies including several generations of radar, and, most recently, ADS-B. ‘Early primary radar did not identify one aircraft from another,’ Vabre says. Instead controllers would ask aircraft to perform tell-tale manoeuvres for identification, (“Alpha Bravo Charlie, for identification turn left heading …”) after which the controller would stick plastic identifiers known as ‘shrimp boats’ to the screen above a return. Bumping the console reset the identification system, Vabre drily notes. Electronic screen marking first appeared in the form of an inter-console marker which highlighted a return for hand-off to other controllers. By the late 1980s, digital radar processors were able to convert raw radar returns into display data, overlaid on a map. Call sign, altitude, speed and track could now be displayed before the controller. ‘The radar data processor basically decided what was an aeroplane and what wasn’t,’ says Vabre. 1994 saw the introduction of The Advanced Australian Air Traffic System (TAAATS), which added a flight data processor into the system. TAAATS fused multiple data sources into a single picture,’ says Vabre. ‘It created a four-dimensional trajectory for the aircraft and put that on a situational display, including the tracks of aircraft that weren’t under surveillance coverage. Previously a procedural board had been used to do that. One lot of tracks was generated from radar, the other lot from flight plans but they were all shown on the same screen. TAAATS is due to be replaced, along with the defence air traffic system ADATS, by OneSky, an integrated military and civilian ATC system. OneSky is to be delivered by Thales Australia, local subsidiary of French aerospace, defence and transport conglomerate Thales. Thales Australia has a strong focus on HMI research and design. Thales ATC design specialist Grant Williams says, ‘Melbourne has become the centre of excellence in the organisation for HMI. The new HMI was designed and developed principally here. OneSky, which will begin rolling out in 2018, will be based on the Melbourne-developed Thales TopSky-ATC system, already in service in 130 locations around the world. Thales says TopSky embraces ‘a minimalist display philosophy for easy and quick comprehension of the air situation.’ Flight information is sparse in the standard display, but further details are instantly available with a mouse click roll of the scroll wheel. Track information comes from many surveillance sources, including Mode-S, secondary radar and ADS-B. A powerful processor enables advanced track conflict detection, which is also incorporated into the track display. ‘For example, tracks cruising at their assigned level only have a couple of pieces of information on display. As soon as they’re climbing or descending, the label becomes a bit bigger, with more items—a simple visual cue to the operator an aircraft is maneuvering. Williams says there is also a generational aspect to acceptance of new designs. 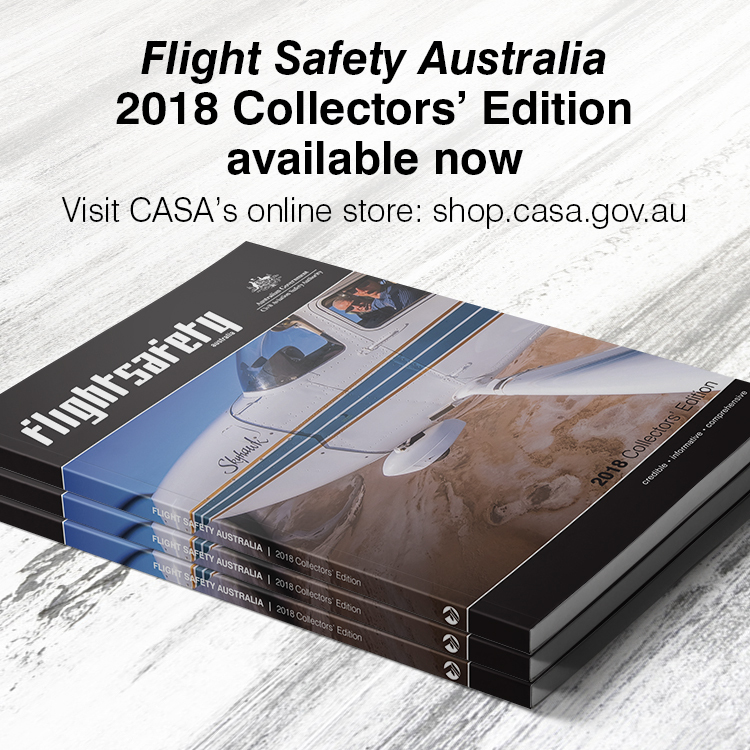 CASA executive manager aerodrome and airspace regulation, Peter Cromarty, says ATC automation gets it right when it acts as a support, rather than a substitute for decision making.